We use Zoya nail polish. Zoya is the first to remove toxic ingredients such as toluene, camphor, formaldehyde, formaldehyde resin and DBP (dibutyl phthalate) from its formulations. Aqua Wellness Day Spa maintains its focus on the health and well being of our clients. We only use organic products in our manicures and pedicures. Nails that require gel to be removed is an extra charge of $20. Let this treatment become your new ritual. Enjoy the stress relieving and anti-inflammatory properties of organic frankincense oil. Smooth away your rough edges with a Micro Algae scrub and allow us to revitalize your skin with a Hydrating Therapy Blend lotion. It’s been too long since your hands/feet have been this happy. Are you a Lavender lover? 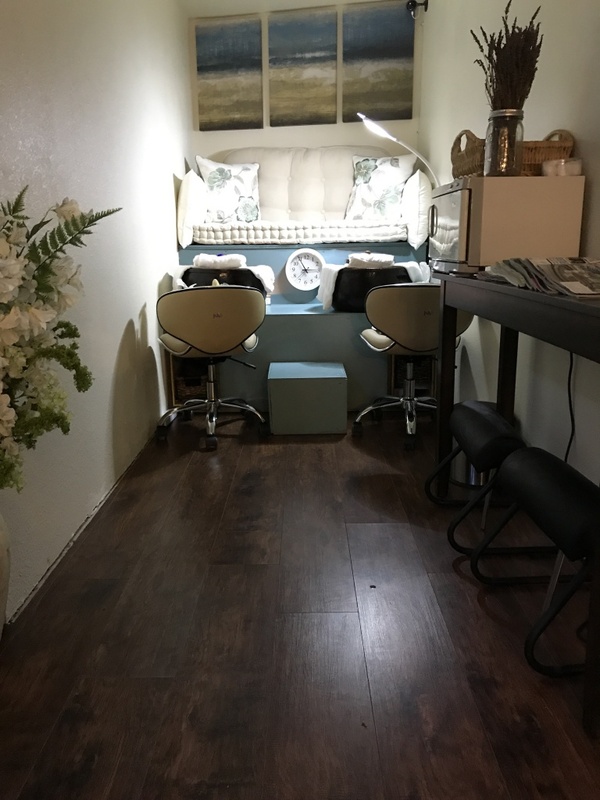 If so you’ll love this one of a kind manicure or pedicure. Start with a neck wrap of delicious aromas. Soak in our one of a kind Organic Lavender soak. Exfoliate with Victoria’s Organic Lavender Scrub. With heated booties or mittens allow your skin to soak up the aromas of the melted lavender shea butter body candle. This treatment is a one of a kind pedicure. You will not get this pampered in a manicure or pedicure anywhere else. If slipping on a pair of sandals make you cringe, you are ready to treat your feet to a spa experience. Nothing can spoil your summer look like rough soles, cracked heels and dull nails. So before you find yourself in an “oh no” crisis, take advantage of this out the door ready pedi. Soak, scrub, hydrate, massage, paint those pretty toes and out the door you go with a pair of OkaB sandals and now your ready to pose. Eminence is a handmade organic skin care line from Hungary, which is a leader within the professional skin care industry. It was created over 50 years ago in a small village where there were generations of knowledge for medicinal uses of plants. Hand-farmed using only natural fertilizers and insect repellants and handmade without any harsh chemicals or preservatives, Eminence offers a pure and results-oriented collection of product that has something for everyone. Eminence utilizes the power of probiotics, potent herbs, fruits, and vegetables with its plant-based stem cells, enzymes, AHAs, BHAs, and natural but highly effective alternatives to retinol and hydroquinone. The Mission of Victoria’s Lavender, Luxury Lavender Products is to provide pure and natural ingredients in quality products that are beneficial to the body and soothing to the soul. We work hard at creating lavender products that are innovative, high in quality as well as attractive. Fresh off the runways of fashion week. As seen in Allure, Marie Clair, Town & Country, Redbook, Vogue, Bazaar, Instyle, W and Glamour.